We, people, as we fly along on local freeways don’t give much thought to the people who are out there, maintaining the freeway system throughout California. We will occasionally see a bright orange Caltrans truck or we might occasionally see a Caltrans worker but we quickly pass by as we get to our destination. However, what we fail to acknowledge is the often dangerous job some of the Caltrans employees deal with each and every day and sometimes those jobs result in death to the employeee. At its 24th Annual Workers Memorial at the State Capital on May 1, Caltrans honored 183 employees who lost their lives while on the job. The solemn event comes about one year after two Caltrans employees were killed by a rock slide while working to protect the traveling public, said Caltrans spokesperson Tamie McGowen. Shawn Baker, 50, from Weed and Joseph “Robert” Jones, 40, of Montague, died in April 2013 while working on a rock scaling operation to stabilize a hillside on State Route 96, west of Yreka. Their deaths ended a two-year stretch without a highway maintenance worker fatality. Another Caltrans highway maintenance worker, Dean Patton, 51, of Grass Valley, will also be honored. He was riding a motorcycle on his way to attend the 2013 Workers Memorial when he was hit and killed by a motorist. “The Highway Workers Memorial is a somber reminder that highway workers put their lives in danger everyday just by going to work,” said Caltrans District Director Malcom Dougherty. “We are constantly working to protect highway workers and contractors in work zones, but one thing we cannot directly control is driver behavior. Drivers need to slow down, watch out for highway workers and safely move over a lane when passing work crews. Did you know that highway construction is one of the most dangerous occupations in the United states? More than 1,000 Caltrans vehicles are hit on the highways each year Motorists are at high risk too, with drivers and passengers accounting for 80 to 90 percent of the people who are killed in highway work zones. Most of those fatal crashes are rear-end collisions, with speeding and aggressive and distracted driving being the most common factors. Drivers can dramatically improve safety in work zones by slowing down and reducing distractions like texting and talking on the phone in highway work zones. Complying with the “Move Over Law,” which requires motorists to move over if it is safe to do so, or slow down, when approaching vehicles displaying flashing amber warning lights. Caltrans has partnered with the California Transportation Foundation to develop two funds to benefit the families of Caltrans workers killed on the job. The Workers Assistance and Memorial Fund helps with the initial needs a surviving family faces, and the children of fallen workers may now apply for a Caltrans Fallen Workers Memorial Scholarship. Donations may be made to the California Transportation Foundation, 581 La Sierra Drive, Sacramento, Ca. 95864. Please designate which fund should receive the donation. Driving and Texting or Talking on Your Cell? Not at Good Idea! If you’re thinking of picking up your cell phone and answering (or making a call) while you’re driving you might want to reconsider that decision. How about texting…..nah, don’t do it! In an effort to improve highway safety (and who sees more horrible auto accidents than the CHP?) the California Highway Patrol will conduct a “zero tolerance enforcement” effort during April. The focus of this enforcement effort will be distracted driving including holding hand-held cell phones, texting and other distractions. Distracted drivers are responsible for many deaths and hundreds of injuries every year. “Every single time a driver diverts attention from the road, even for one or two seconds, they put their lives, and the lives of others around them, at risk,” said Inland Division Chief Michael Champion. “If you are using a cell phone without a hands-free device, texting or being distracted in some other way, our officers are going to take the appropriate enforcement action,” Champion added. While the primary focus will be distracted drivers, officers will also take enforcement action on any other observed violations such as DUI, speeding and seatbelt violations. 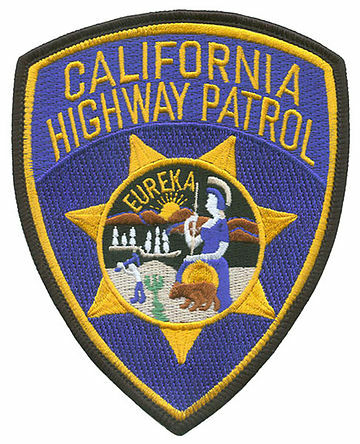 It is the mission of the California Highway Patrol to provide the highest level of safety, service and security to the people of California, said Arrowhead Area Sergeant Levi Miller of the Arrowhead Area CHP station.